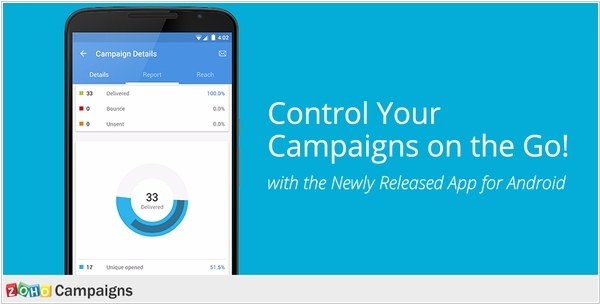 Zoho launched all-new Zoho Campaigns. The new polished interface is designed to improve the user experience and help you achieve your goals faster. The new editor allows for complex, responsive template designs through a simple drag-and-drop interface. The template gallery is also loaded with a number of new designs for almost every occasion. 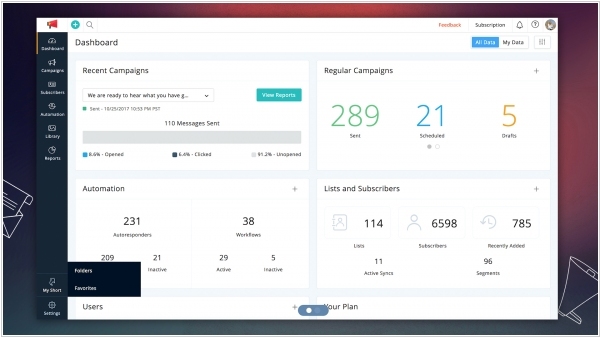 New Personalization features will make your subscribers feel like messages are written specifically for them. Besides, the developers added a number of customizable autoresponders that put email campaigns on auto-pilot and email limits that can control the number of emails that any subscriber receives in a particular period. Until now Zoho Campaigns allowed only iPhone users to manage their email campaigns using mobile app. Now they announce the same app for Android. All of the key features available in the iPhone app are now available for Android, including instant access to your email campaigns, mailing lists and​ subscribers, comprehensive views of all reports and sharing features, ability to manage your contacts and subscriber lists, offline access to continue working even without an Internet connection. Additionally, Android users can stay on schedule by receiving mobile notifications alerting them that their campaigns are ready to send. Even when traveling, you can now deliver your completed campaigns to your subscribers from the convenience of your smartphone. 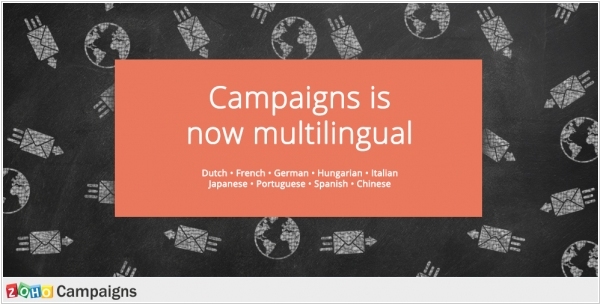 Email marketing service Zoho Campaigns is now translated into multiple languages. Along with English, you can now use Zoho Campaigns in Dutch, French, German, Hungarian, Italian, Japanese, Portuguese, Spanish, Chinese. For now only user interface is translated by Zoho invites users to desing multilingual templates also. This update comes as welcome news for users taking advantage of the Zoho Campaigns + Zoho CRM integration. Users can now use both products in the same language. 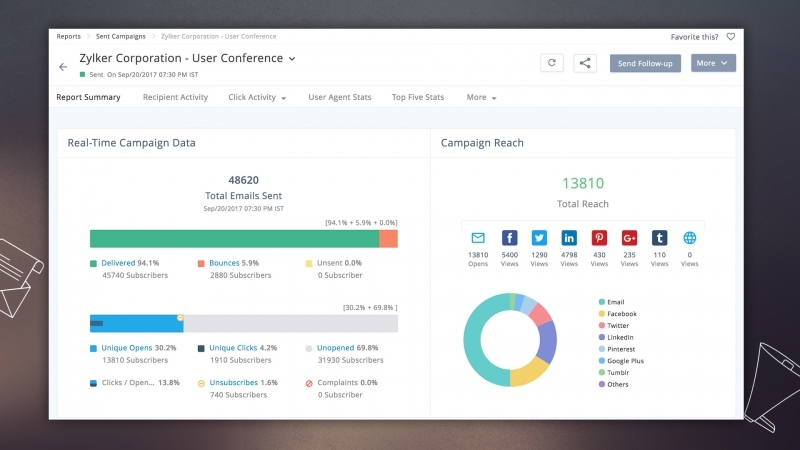 Recently Zoho announced free 10-user CRM edition. Zoho Campaigns also provides attractive free option. You can start with 2,000 contacts and send up to 12,000 emails/month in the free plan. Despite the recent closure of some apps, Zoho still continues to create new ones. Today Zoho Campaigns is launching. It allows send email-campaigns to customers and centrally post messages to social networks (Facebook, Twitter, LinkedIn). And most importantly - it collects the statistics of these marketing campaigns so you can analize their effectiveness. For example, the service shoss you how many emails were opened, how many people clicked the link, clicked Like, added a comment, or told their friends about your message. For email-campaigns Zoho Campaigns provides a collection of beautiful templates, so you do not have to worry about the design. The contact database can be imported from CSV, from Zoho CRM or from GMail / Google Contacts. There is a free version - it allows to import up to 500 contacts and send them up to 2500 emails per month. The paid version starts at $5/month (for 500 contacts and unlimited messages).